If you’re familiar with Mississippi at all, you probably know about Jitney Jungle grocery stores. Established in Jackson in 1919, the grocery store chain is a fond memory, especially in the Belhaven community in Jackson, where most people still refer to the local grocery store as “Jitney 14,” a favorite haunt (while she was still living, that is) of Eudora Welty. Jitney Jungle wasn’t the first grocery chain with a funny name, however. That honor belongs to another well-known establishment and staple of Southern life, the Piggly Wiggly. 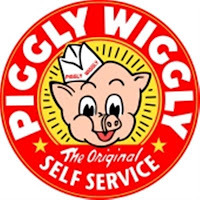 Piggly Wiggly was the brainchild of Clarence Saunders. Born in 1881, Saunders opened one of the first (if not the first) self-serve grocery stores in Memphis, Tennessee, in 1916. A native of Virginia, Saunders was a high-school drop-out who worked various jobs in Alabama and Tennessee before landing a job in the wholesale grocery business in 1900, earning $30 a month. In 1902, Saunders (left) moved to Memphis and opened a wholesale food business of his own. With lots of ideas about how to improve the industry, Saunders revolutionized the grocery business when he opened the first modern, self-serve supermarket on Jefferson Street. Unlike most stores at the time, there was no grocery clerk behind the counter to retrieve the items for the customer. Instead, shoppers, armed with their own grocery baskets, would select the items from well-stocked aisles and then pay at the front with cash, all routine to modern shoppers. This “self-serving-store” concept was patented by Saunders in 1917, although he was unsuccessful in a patent infringement suit against Jitney Jungle in 1920 (the owners of the Jitney chain were able to provide other examples of similar store designs out west). Regardless, the Piggly Wiggly model soon became the standard for the modern grocery store design, and by 1922 Saunders had 1,200 stores in 29 states and there were more than 2,600 locations in 1932. Among the Piggly Wiggly stores in Mississippi was the store in Natchez, seen here (below, left) in 1920. The store was located at the corner of St. Catherine and Fourth Street. 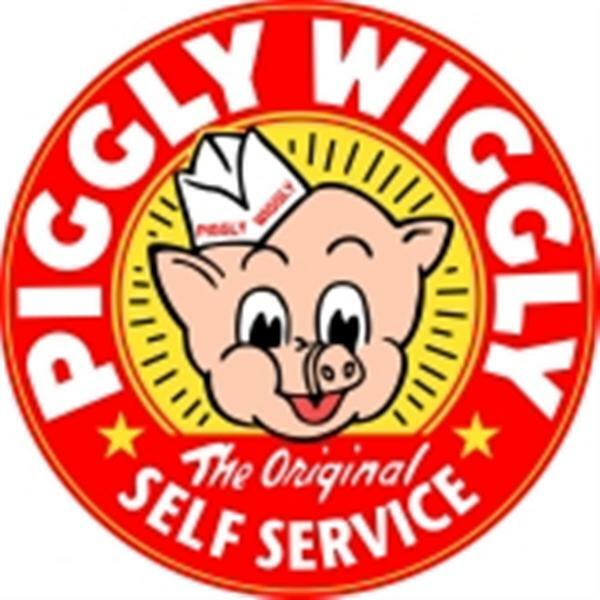 As for the name “Piggly Wiggly,” Saunders never explained the origin, though he once said he decided on it just so people would ask about it. With a successful company, Saunders amassed quite a fortune. In the early 1920s, he began building a suitable mansion for his family, which included his wife Carolyn and three children. Announcing to the press his intentions to build a 36,500 square foot house east of Memphis, the estate became a tourist attraction while it was under construction. Although Saunders named his house after his three children, it was popularly known as the “Pink Palace” because of the building’s pink Georgia marble facing. The mansion as designed was supposed to include a pipe organ in the entrance lobby, a ballroom, indoor swimming pool, bowling alley and other assorted amenities. Unfortunately, none of the Saunders’ family ever lived in the mansion because of serious financial problems with Piggly Wiggly. 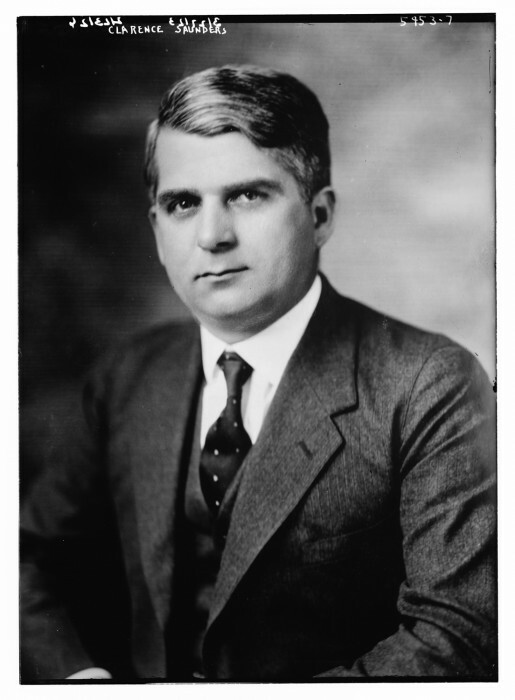 In 1923, through a complicated maneuver to lower the stock value of the store chain by Merrill Lynch and other investors on Wall Street, Saunders was forced sell his interest in the company he created at a loss and ultimately went bankrupt. Without any cash, he was forced to abandon the construction of the mansion and disassociated himself with Piggly Wiggly. Acquired by the City of Memphis and completed at a cost of $150,000, the Pink Palace (above) opened as a museum in 1930 and celebrated its 75th Anniversary in 2005. The Pink Palace includes a walk-through model of the first Piggly-Wiggly store. After losing the Piggly Wiggly chain and burned by what he perceived as a hostile takeover of his company and concept, Saunders launched another chain of stores in 1928. To avoid any misunderstanding about ownership, he called these stores “Clarence Saunders Sole Owner of My Name Stores.” Not exactly a catchy name, perhaps, but memorable nonetheless. By 1929, he had opened 675 “Sole Owner” stores,as they were known, and raked in $60 million in sales. He also established a professional football team in Memphis, known as the Clarence Saunders Sole Owner of My Name Tigers. Remarkably, the Tigers were a success, attracting up to 8,000 paying fans for a game against the NFL champion Green Bay Packers in December 1929. The Sole Owner Tigers, against all odds, defeated the Packers that day 20-6. When the National Football League invited the Tigers to join the league the next year, however, Saunders turned down the offer because he had no interest in playing away games. Instead, he promised to build a home-game only franchise in Memphis with a 60,000 seat stadium. The next year, both his Sole Owner stores and Sole Owner Tigers became victims of the Great Depression. Aside from the Memphis Showboats in the USFL, Memphis has not had a professional football team since the Sole Owner Tigers. Although bankrupted again by the Great Depression, Saunders wasn’t done with innovations in the grocery store business. In 1937, he designed and built a fully automated store called the “Keedoozle.” In essence, the store (right), housed in what resembled an elaborate Quonset hut, functioned as a giant vending machine. Customers shopping in the Keedoozle would insert a key into the bottom of a glass display cabinet to select the item they wished to purchase. The item would then be deposited onto a conveyor belt by a stock clerk and the customer would be given a punched ticket tape. By the time the shopper got to the check-out, the selected items would be boxed and the ticket tape, fed into a machine, would automatically total the amount owed. While perhaps great in theory, the system often failed to work at peak hours, and the electronic circuits available at the time frequently got mixed up, sending the wrong items to the front. For these reasons, and because of World War II, the Keedoozle idea never got off the ground, although a few stores were constructed. 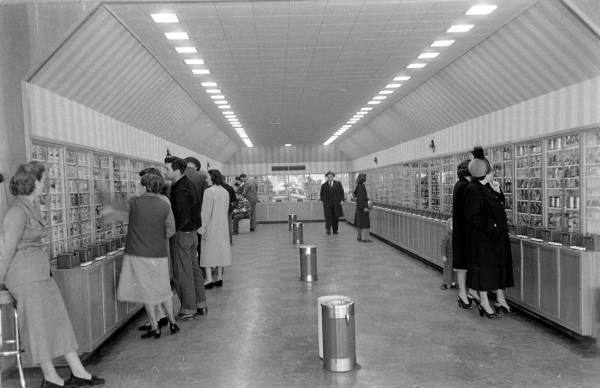 After the war, Saunders marketed yet another automated store idea, this time even more self-service oriented, called the Foodelectic store. Similar in some ways to modern self-check aisles, Saunders died of a heart attack in 1953 before any stores were built. He was 72 years old. He is buried at Memorial Park Cemetery in Memphis. Clarence Saunders had big ideas. While many of his business ventures ultimately failed, he was a man ahead of his time. Much of what he envisioned can be found today in every modern supermarket.